Fresh off the heels of the October Smuggler’s Bounty Box, now being released by Amazon. 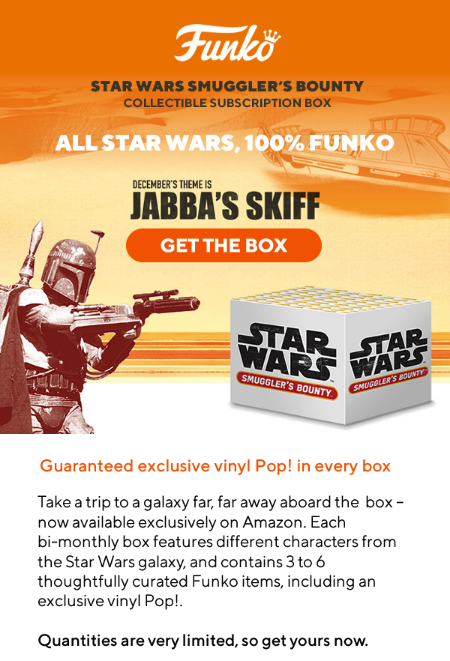 Funko has announced the planned box for December with the theme of Jabba’s Skiff. Follow this link and head over to Amazon and start your subscription with them today.